Who doesn’t want to look smart and beautiful in the crowd? If you are one of them who care about their hair and try to keep it away from any kind of ill effects, then you must spend a good amount of money in it. The demands of the hair care and beauty products are growing high. If you want to save money on hair care products, then you need to follow some tricks. These ways can help you to keep your hair healthy in a pocket-friendly manner. When you are going to buy a hair care product, you need to keep in mind about your budget, and accordingly, you need to buy these. If you go through these following tips to save money on hair care products, then you may think how much you have spent on it unnecessarily. The hair products are available in the market on a large scale, but all of these products may not help you to get the beneficial result as you expect. Investing in these kinds of products for hair care is the waste of money. So, you need to be conscious when you are going to buy a hair care product from the market. 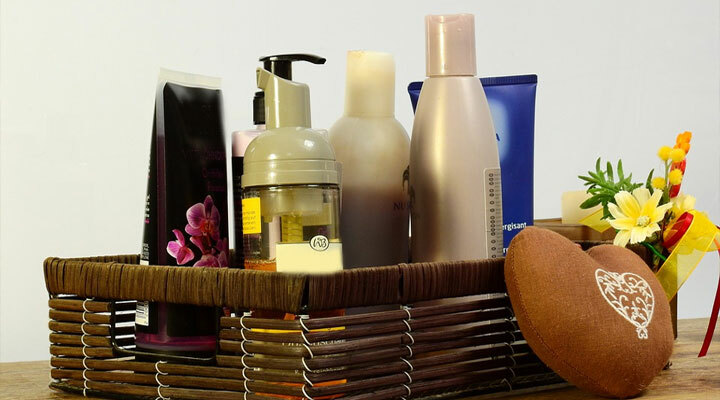 You need to check the ingredients of the shampoo, conditioner, hair gel and other products. You need to know the reputation of the manufacturing brand of the products for hair care that you are buying. You need to understand how to use your investment rightly. Apart from knowing the product in detail you need to keep some other points in your mind to save money while buying the hair care product from the market. The following tips can make you understand how to save money when you are going to buy the hair care products from the market. You need to avoid choosing the chemical based products from the market to care your hair. These chemical based products are not only costly but also may harm your hair and scalp. So, you should always opt for the natural ingredients based hair products that can be effective on your hair and help you to save money as well. Always go for herbal and mild products which are more cheaper and far more effective than the chemical based hair care products. Another rule to save money on hair care products is to find the offers of the brands. If you can buy more than one products at a time, you may get some attractive offer. Buying the larger pack of the hair care products is always beneficial for the buyers. You can go for the online shopping and compare the prices of the products on different stores around you before buying one. In the modern days, the online shopping centers can save your time, labor and costs at the same time. You can go for some seasonal offers that are available in different stores, and you can save money on hair care products. You may get combo packages and other offers on the hair care products that can be beneficial for you. You should not be dependent on the branded products only while caring your hair. But you should also try some home remedies that can help you to provide ultimate protection to your hair. These home remedies can also help you to avoid the extra costs on hair products that are available on stores. Using Natural raw oils is good for hair and scalp. Egg and honey are a very good natural hair conditioner. Seasonal hair care products should not be wasted. Either you should preserve these for next season, or you should exchange it for the new product which is perfect for the running season to save money on hair care products. You should know the proper interval of applying shampoo and conditioner on your hair to save money on hair care products and taking a proper care of it as well. Frequently use of shampoo and other hair care products may also cause dry scalp thinning of hair. You can make a hair washing product at your home by using the half cup of baking soda three of cups water and half cup apple cider. Firstly you need to mix the water and the baking soda well by shaking the bottle in which you are mixing it. Then apply it on your scalp and wash it well. You need to use the apple cider vinegar while rinsing the hair to get a conditioning and shiny effect. This formula can wash your scalp and the hair at the same time in an impressive way. You should recycle the products that are not suitable for your hair. You should exchange the product with one who uses it. You can exchange it with your friends or family members to save your money and wastage of your product. You should buy the hair care products from the departmental stores. Grocery should be your last preference to buy these products for your hair. The big departmental stores can give you some exciting offers on these products. There are many inexpensive hair care products available in the market as well. You can try these in place of your expensive high formulated hair care products. These inexpensive herbal products like medicated hair oils, coconut oil therapy at home can make you beneficial as well. Stop over caring your hair. You should not use any hair care product more than the instructions. You should not use hair gel whenever you are going out as it can not only increase your expense but also harm your hair as well. You need to understand what is right and wrong for your hair. Once you stop over caring your hair, then you can also save money on hair care products. You need to use your coupons. Whenever you get a coupon to buy a hair care product from the modern market, then you should use it. The most of the people don’t notice it, and the coupon gets expired. So, you need to be conscious while getting a coupon and use it beneficially. When you are going to choose a hair care product you need to go through a market research. You need to know which the cheapest yet good quality hair product is and how it works on the hair. In this case, you can take help of your friends and family. If any hair care product company asks you to give your email address, then you should give it to them. They can email you whenever they are going to give an offer on their products, and you should grab it. Subscribe to their newsletter or join their mailing list. These above-mentioned points are given to make you understand how you can save your money while investing in the hair care products. You can use these tricks to keep your hair healthy and perfect to go out by investing a minimum amount of money in it. You need to understand that only using hair care products is not enough for you but you need to know the proper way of applying it. You should stop wasting it as well. These helpful ways can make you beneficial to get the effective product for caring your hair at a reasonable price. Now, you can keep your hair healthy and lively in less amount of money. Great suggestions! I love that less chemicals aligns with lower prices. I didn’t realize there was such a price difference with department stores too. I’m definitely going to keep an eye on that now. This post is so important! I’m always seeing tips on how to care of your skin/hair/etc… but they are all expensive products that push me farther away from accomplishing what I was set out to do! I love that are so many inexpensive ways to care for yourself. My hair has been needing some lovin’! Nice tips, these are so important for those who want or NEED to take really good care of our hair. Love your ideas. My favorite isbcreating my own products! These are some great ideas! Love the “create your own” idea. These are great tips! I have started buying a lot of my beauty products online and I save a ton! These tips are so useful! I’m also going to share this with my wife! Great tips! I am a true testament of how much haircare can be. It’s good to know that there are alternatives out there! These are some really handy tips! Thanks for this, will definitely keep these in mind in the future.